Protestors outside the city courthouse. 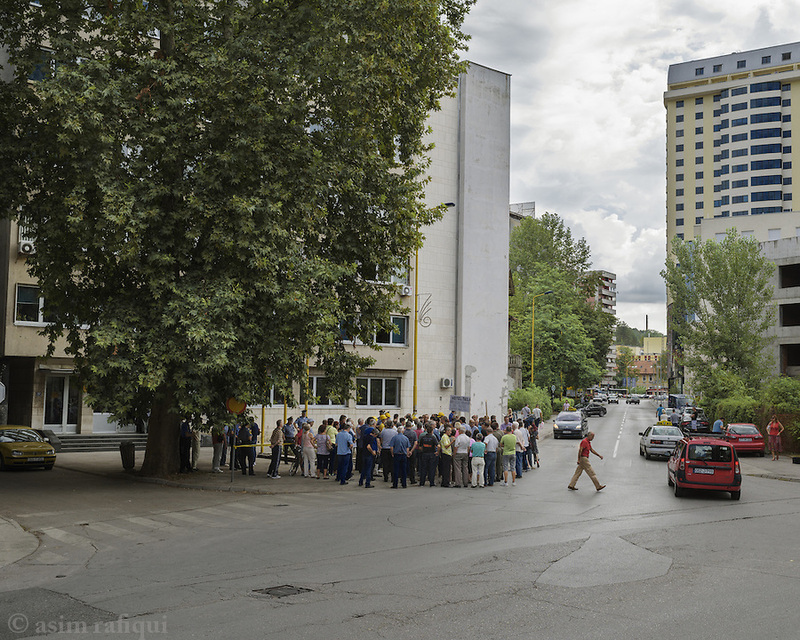 Every Wednesday, a number of men and women from various factories and businesses in Tuzla, gather outside the Tuzla court house to protest the policies and destruction of Tuzla's industries and businesses. Most have already lost their pensions, and are in danger of losing their jobs, as businesses are privatised to investors whose principal interest is to strip and sell them rather than invest and operate them.